Colloidal silver is sold in just about every health food store in America and parts of Europe as well as by tens of thousands of online vendors worldwide. What’s more, throughout Europe preparations of silver (generally in the form of colloidal silver) are used worldwide as a water disinfectant, to help prevent microbial contamination. Own production is not possible Own production of gold ions is not possible. Professional production: Very difficult Own production is not possible. Producing real nano-particles Production is not possible. Price between € 45 - € 500. 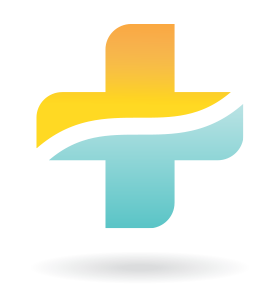 Internet providers are pharmacies and several companies (all claiming it was Colloidal Silver or even Gold). Colloidal silver has anti-viral and anti-bacterial even with multiresistant MRSA – bacteria. Silver ion is anti-viral and anti-bacterial but only on the outside, when ingested it is already formed in the mouth to silver chloride. Application: Internally and externally! Application: only externally! 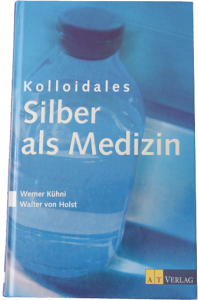 Book: ”Colloidal silver as a medicine” In diseases such as e.g. : Respiratory tract, skin, urogenital tract, or of the digestive tract. Internally converted ion silver to silver chloride and is therefore ineffective - Caution agyria! such as kitchen and bathroom. accumulate in the body (agyria). Pure Colloidal Silver has a yellowish Color,> depending on mg <. Ionic Silver is colorless. Pure Colloidal silver is tasteless. Ionic Silver tastes very bitter – metallic. Pure Colloidal Silver is stored in plastic bottles, PET or PT. Ionic Silver must be protected of light and storedin glass bottles. Good for Internal inflammation, such as joint pain. Colloidal Gold is non-toxic and can be not accumulate in the body. Pure Colloidal Gold is tasteless. Pure Colloidal Gold is stored in plastic bottle, PET or PT. Colloidal Gold or Silver Colloids and to its applications. Therefore, we must ask, the literature on Colloidal gold or to take Colloidal Silver for help.